30 is what % of 15? 40 is 50% of what number? Put the following integers in order from least to greatest. Name a polygon with seven sides. 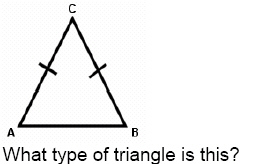 Which is an example of a regular polygon? Which of the following represents a dilation of .ABC? nearby is 5 feet tall. How long is the length of her shadow? Complete the statement with the correct answer. Parallel lines are . . .
in the same plane and do not intersect. in different planes and do not intersect. in the same plane and do intersect. in different planes and do interact.